ETPier is a high-performance Windows-based program for the design and analysis of highway bridge piers, bents, and abutments. 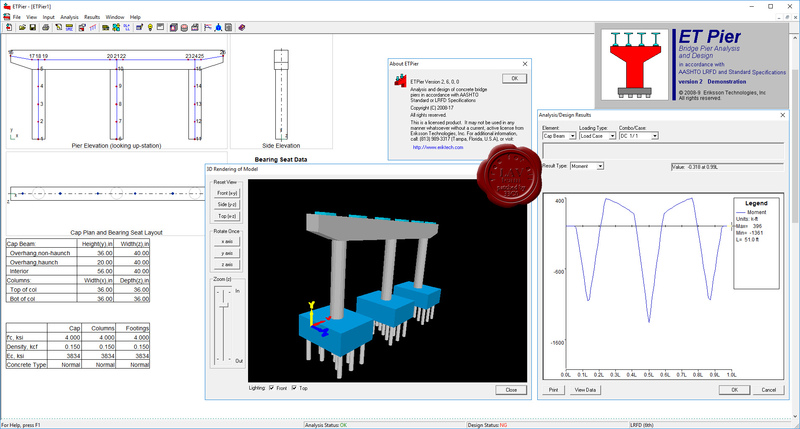 ETPier seamlessly combines the functionality of a state-of-the-art structural analysis engine with concrete column, beam, and footing design capabilities. Integration of the critical design tasks into one system means you get superior productivity and flexibility and improved quality control. ETPier is specifically designed for bridge substructures. Powerful parametric modeling wizards are included to facilitate rapid structure layout and generation. Specify which load combinations to investigate and ETPier will automatically process them and quickly identify the governing case for each component of the structure. Under the hood is a structural analysis engine that redefines performance. True 3D analysis capabilities are built in. Non-linear second order effects are handled at the matrix level to dramatically cut processing time. The result: complete analyses can be done real-time in seconds rather than minutes or hours. Fast and accurately. 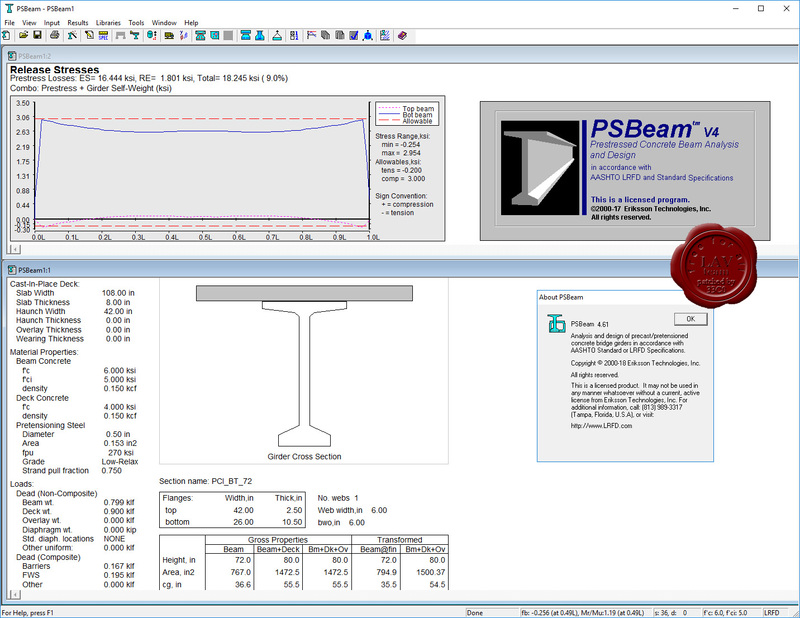 PSBeam is a high-performance Windows-based program for the design and analysis of simple-span or continuous precast, pretensioned or post-tensioned precast concrete bridge girders. PSBeam is professional grade software. It’s the tool of choice for professional engineers who demand results. They know they can count on PSBeam’s rock-solid reliability to deliver the results they need. Support is included for both AASHTO LRFD and Standard Specs. Instantly, you can switch between them to see just where the differences between them really are. There's no better way to learn LRFD! PSBeam sets a new standard for plant-cast prestressed bridge girder design. Now you can extend spans by segmenting girders and including post-tensioning--all within PSBeam.